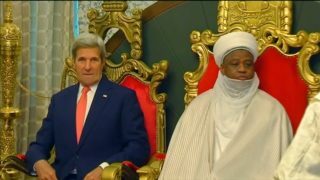 U.S. Secretary of State John Kerry meets religious leaders in the remote northwestern city of Sokoto and expresses his support in their efforts to build peace. 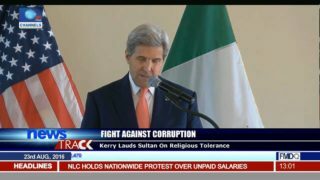 U.S. Secretary of State John Kerry joined European Union Foreign Ministers in warning Turkish President Recep Tayyip Erdogan over his crackdown in response to Friday's failed coup attempt. Actress and UN Special Envoy for Refugees Angelina Jolie says, 'We cannot ignore or turn our backs on' the more than 65 million people displaced by conflict. 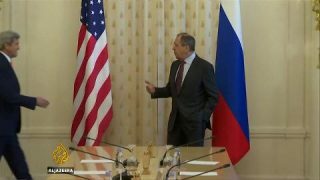 In Geneva U.S. Secretary of State John Kerry says progress is being made on reviving a wider ceasefire in Syria. 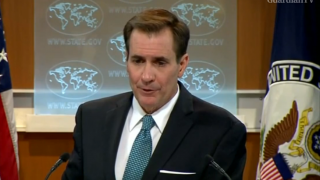 The U.S. says Secretary of State John Kerry has condemned Russian jets that flew close to a U.S. ship, calling the actions "dangerous" and "provocative".